My latest for HSToday, which I have not contributed to for a while, though as well as this one I now have another one coming up in the latest magazine as well. 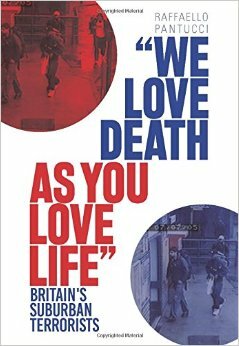 This one explores the connection between the UK and Al Qaeda in Pakistan, the second attempt at the trial against the airline plotters, and also touches upon the new stories to have emerged about Britons going to fight abroad. Not something new, but given what has happened in the past, potentially dangerous. The conclusion last year in the British trial of jihadists who allegedly were planning to bring down as many as 18 eighteen passenger jets in transit from London to North America with liquid explosives was a disappointment to the British security services. Been away for a while somewhere I cannot access this, so have been remiss in posting. I have also been working on some longer pieces that means that they are still out for soundings and have not yet actually been published yet. One has through my Institute, but will have to tell you to write to me if you want to see it, and I can send over a copy. Amusingly, I see that my Qatada piece attracted a lot of hits in the wake of the Law Lords decision on him, maybe this hints that I should do something longer again about his situation. Anyway, in the meantime, here is my latest for Jamestown, it looks at the case of Christian Ganczarski the German-Polish convert who was jailed recently in France. A French court has sentenced Christian Ganczarski, a Polish-born German national and convert to Islam, to 18 years in prison for his role in the 2002 bombing of a synagogue in Tunisia. Though Ganczarski has been under suspicion for years, it was only the recent intervention of a shadowy Paris-based counterterrorism center that allowed the long-time al-Qaeda associate to be brought to trial.